PS. Would you like to be a co-host in April? Click here to see the prompts and sign up! Marsala is obviously Jana's color if you ask me. So pretty with her golden locks! I love how Jalyssa added silver accessories, something I never would have thought about! See their full outfits by clicking on their names. 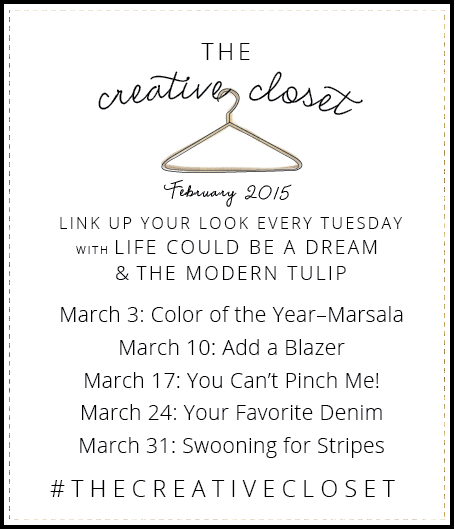 22 comments on "The Creative Closet || Color Of The Year: Marsala"
Pleasure joining you and Jana again, this week. Hey Headturner! Seriously, you are gorgeous. And you make me feel a little bit better about my outfit since the marsala is only in the accessories too! So many things to say! First, you look beautiful as always. Second, 100% bittersweet that next week is your last Creative Closet! I will miss your posts but it mean Maddox is almost here!!!! Three, your photography has gotten AMAZING over the last few months and I keep meaning to tell you. Way to go, girl! I'm going to miss all of your stylish outfits, but I can't wait to read all about Maddox and your new adventure as a mom! 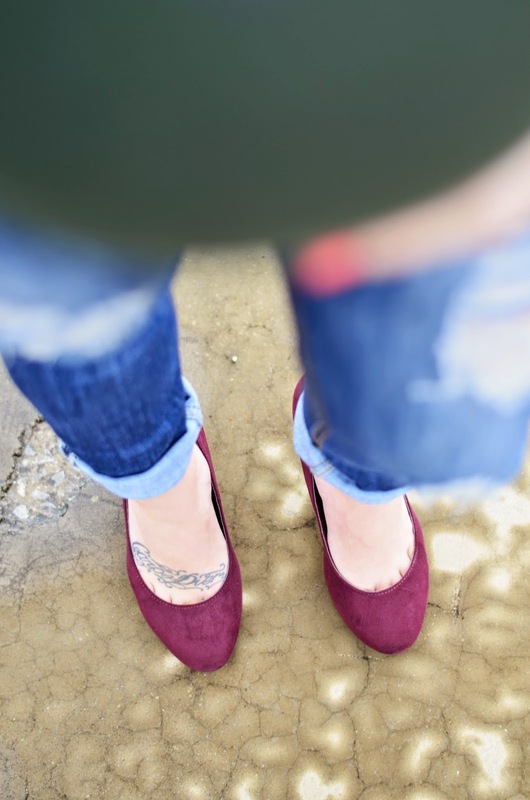 Love all of the jewel tones here, marsala sure makes for an elegant heel! Way to go :) The photography is awesome! Does your hubs shoot them? Mine does, and it's pretty fun teaching him! Love the pop of color that the heels bring! You look fabulous, girlie! I love how this look is so casual and then the pumps sum it up and make it so stylish! 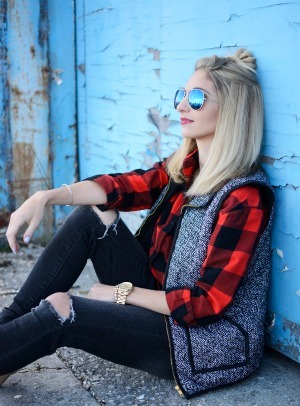 Mixing colors and textures is a favorite of mine so your outfit is perfection! And I am sure you belong in a maternity magazine! Love this look! Emerald looks great on you and I love, love, love your hairstyle! Thank you for hosting the linkup! Those shoes are fantastic and I am loving your braid! You are just fabulous! Love those shoes. You'll be missed, but you have such an important "job" to do in the mean time! Can't wait to see little Maddox! 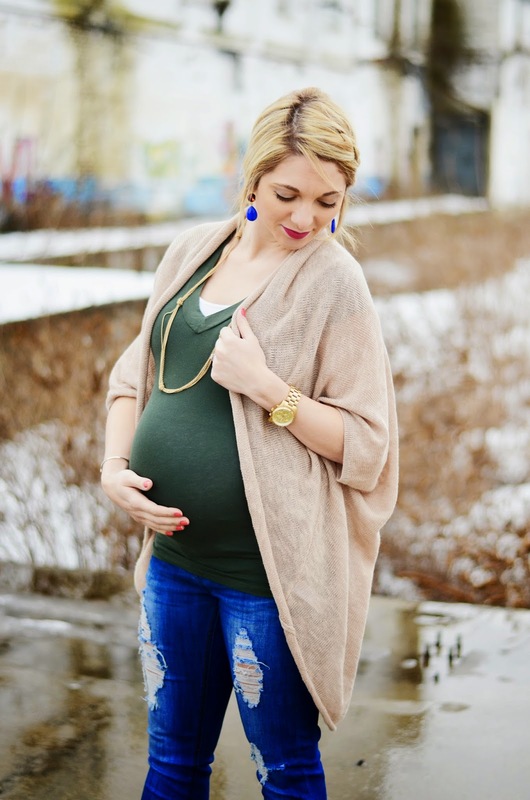 You have the cutest baby bump ever. Seriously. Absolutely stunning! Love the shoes and the earrings especially! Way to go out with a bang pretty lady! We will miss you in the linkup but it is for the most noble cause ever! I LOVE these pumps. All my heels are in the standard neutrals, I think a deep red would be the perfect addition since it goes with so many colours but is a bit more fun! Going to keep my eye out at Target next time I'm in the states! 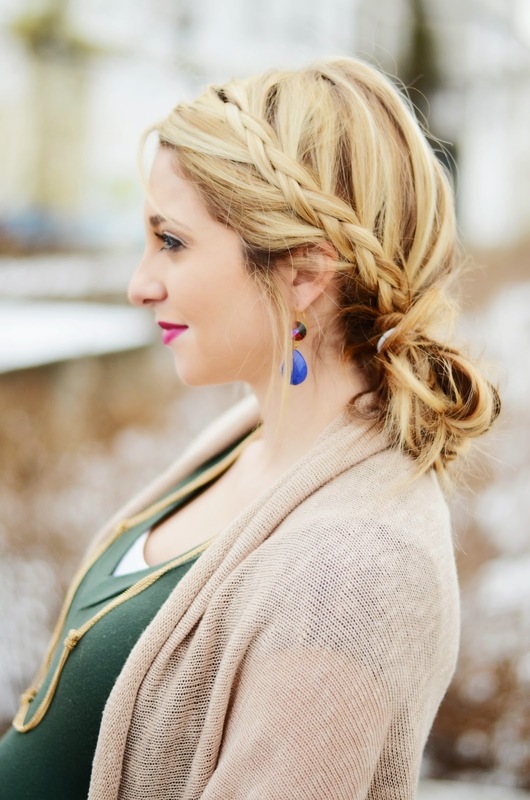 that braid! I need to see a tutorial on how you do it!